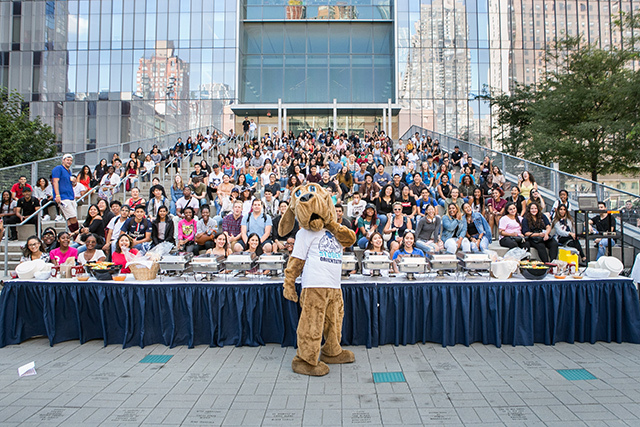 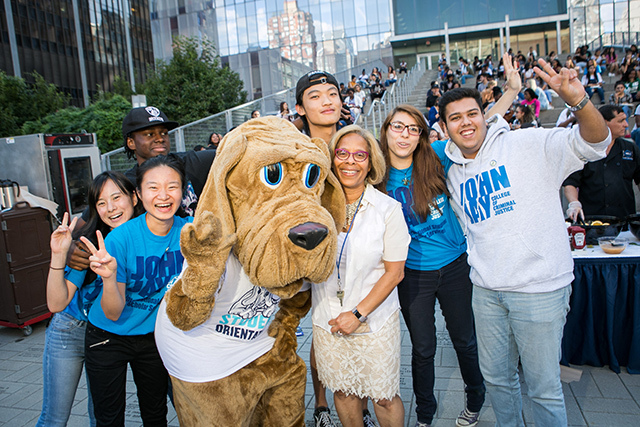 On August 23rd, John Jay held the 2018 New Student Convocation for the incoming class—the largest in the College’s history. 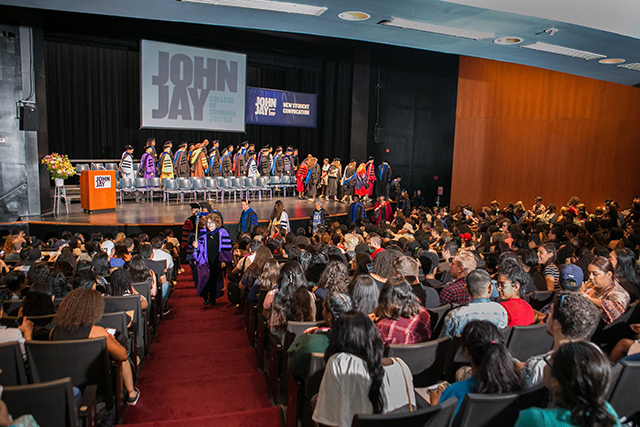 The faculty, including President Karol V. Mason and new Provost Yi Li, put on their regalia and welcomed over 600 students in the Gerald W. Lynch Theatre. 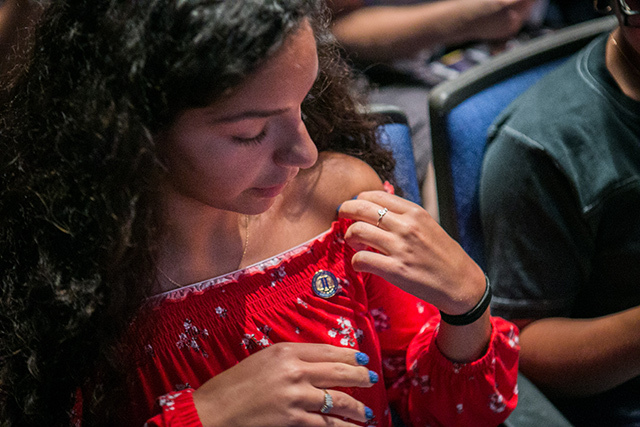 President Mason shared a story about her mother to explain her commitment to both education and justice. 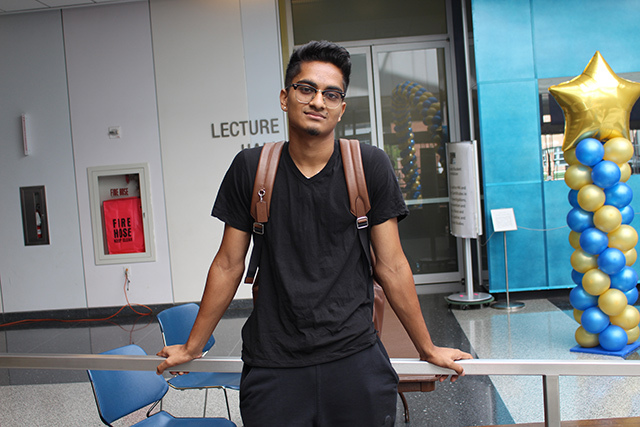 “Back in the 1950s black people were not allowed to teach on Long Island. 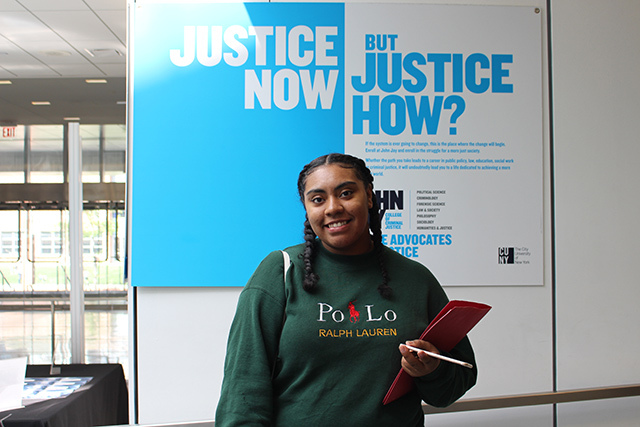 She had to work as a domestic—cleaning people’s houses—while the NAACP sued on her behalf,” said Mason. 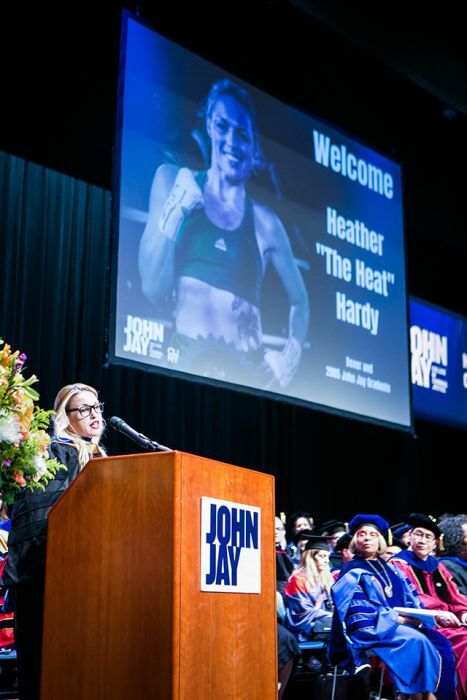 “She won that case and later on became one of the first black teachers on Long Island.” The keynote speaker, alumna Heather “The Heat” Hardy (’04) encouraged incoming students to work hard and stay open-minded about where their education might take them. 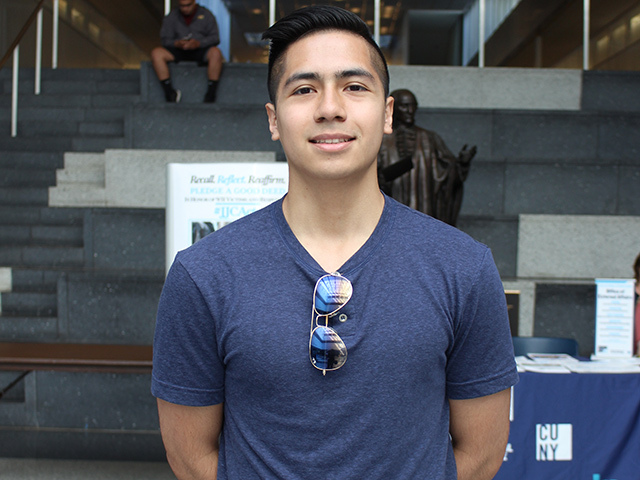 “I graduated from John Jay with a degree in Forensic Psychology at 22. 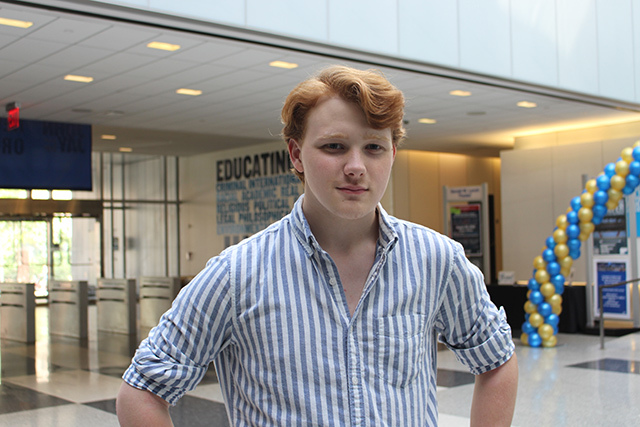 Then I had my daughter, got married, and got a divorce. 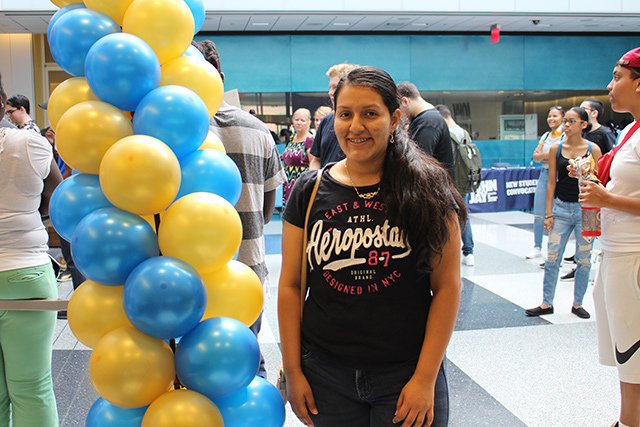 I never used my degree,” she said. 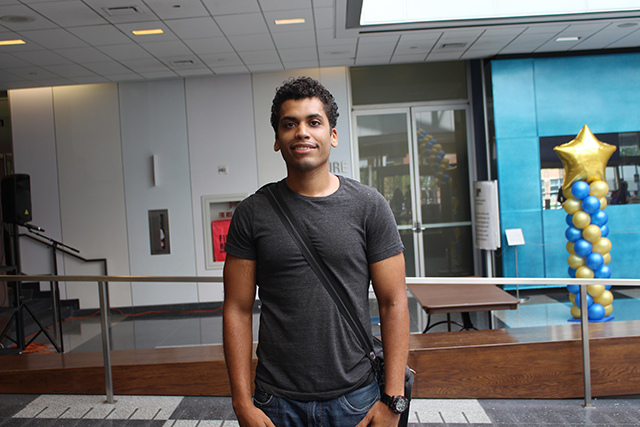 “I started boxing at 28 and it hasn’t been easy. 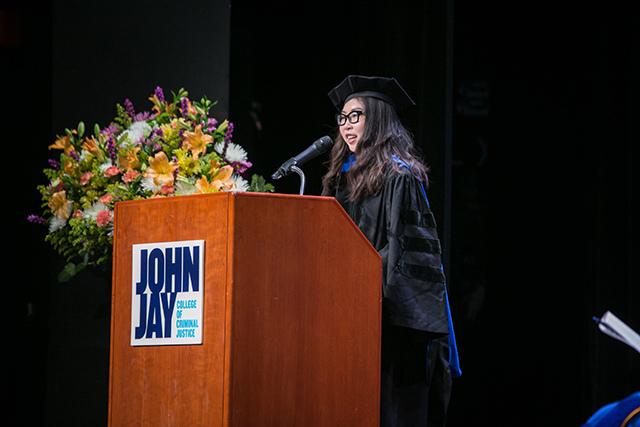 But today I am an Undefeated Professional Boxer and the first woman to box at the Barclay’s Center.” After the ceremony was over everyone headed up to the Jay Walk for food and fun. 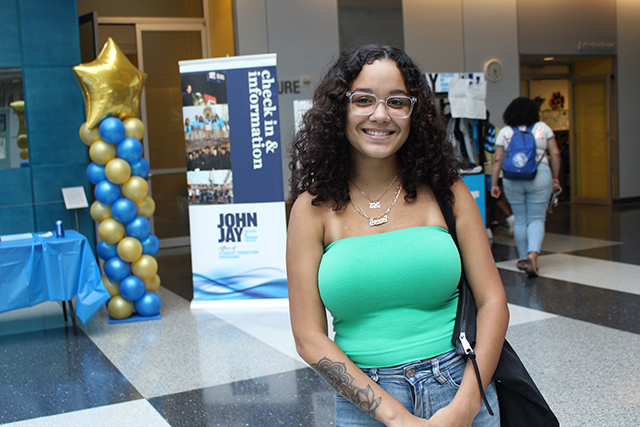 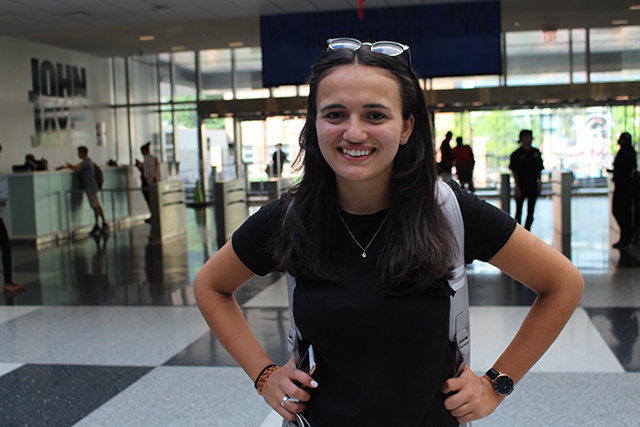 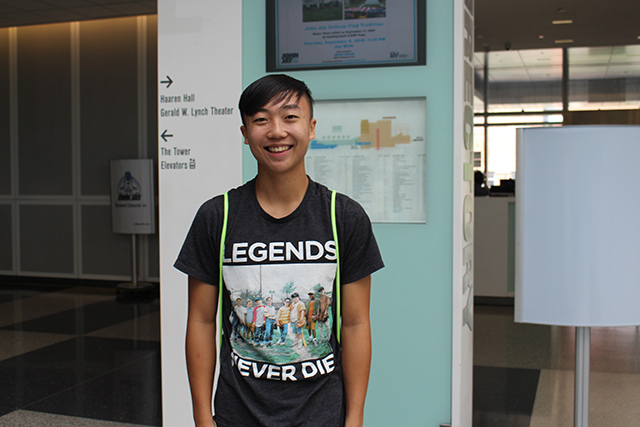 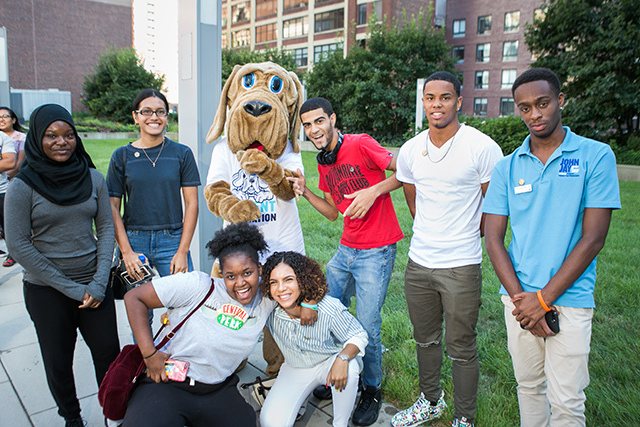 To learn more about our newest students, we asked them: Why John Jay?